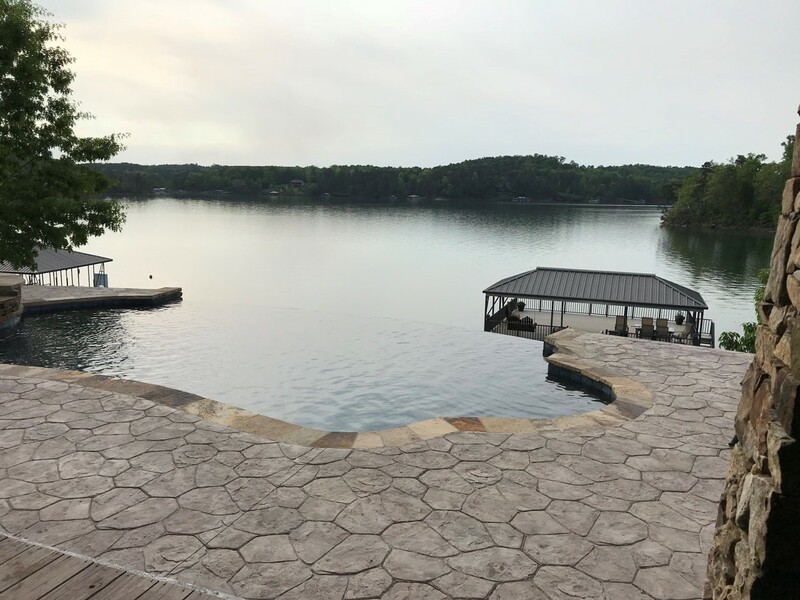 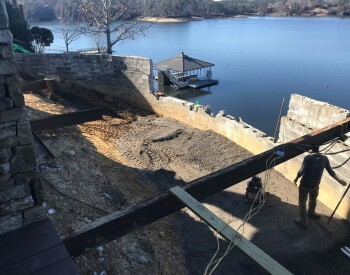 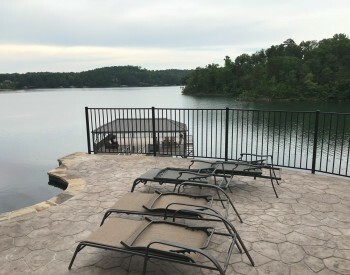 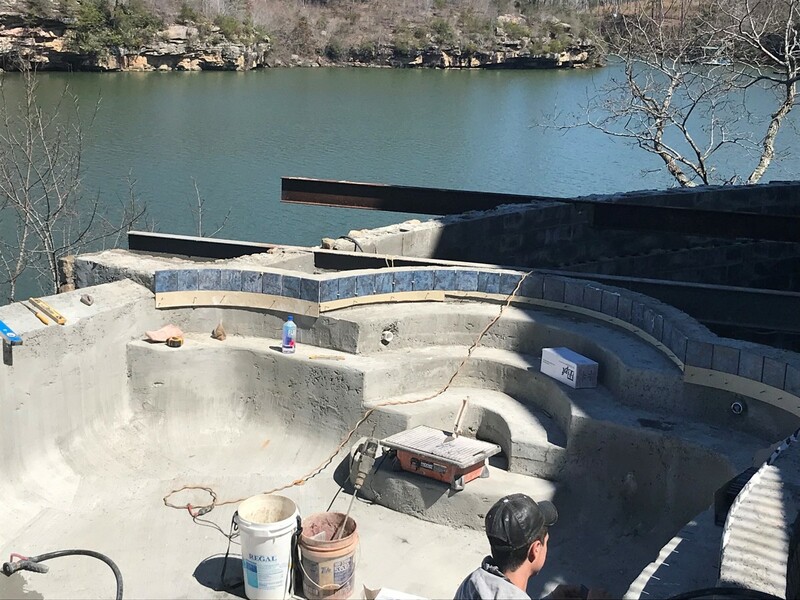 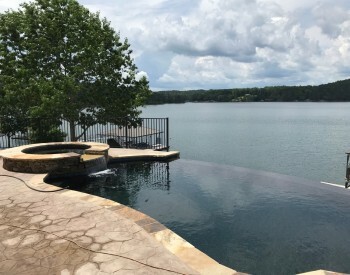 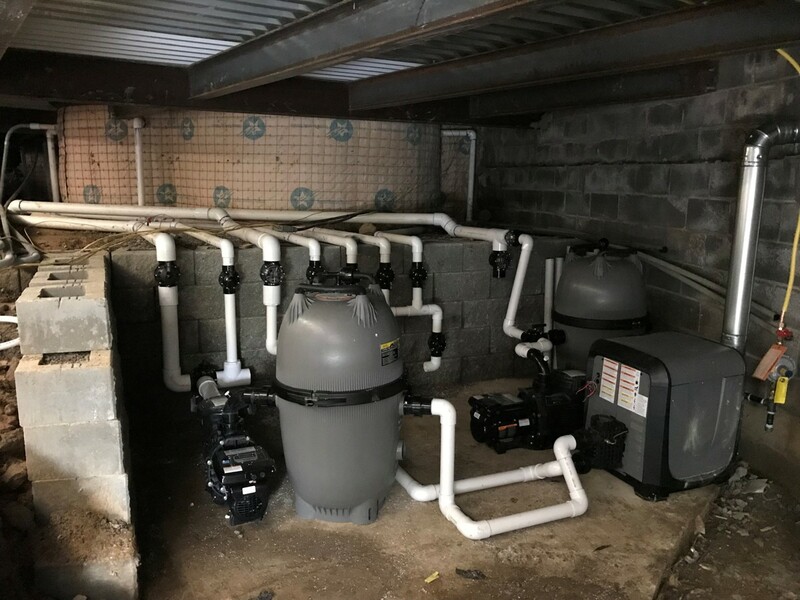 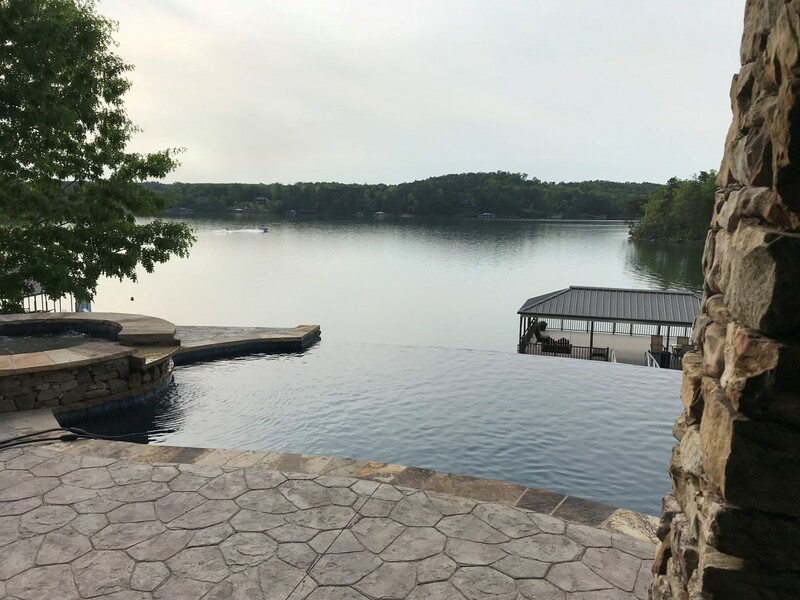 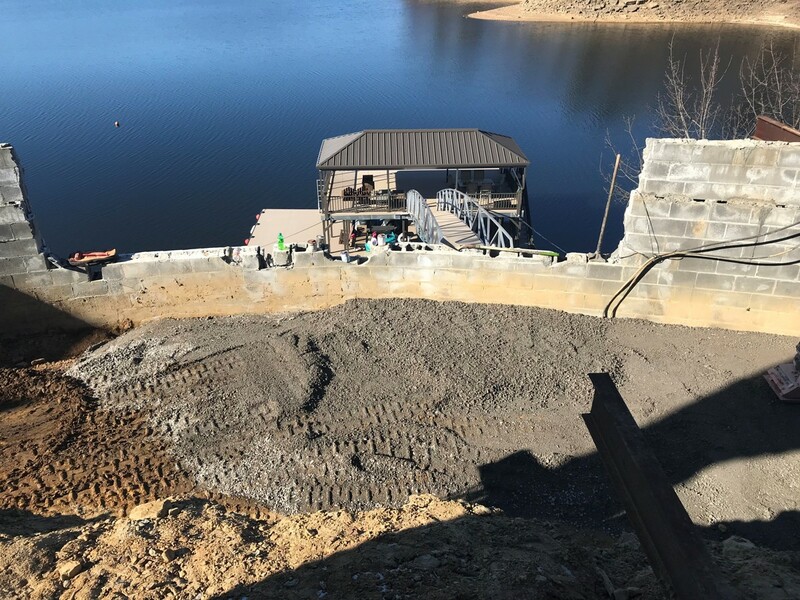 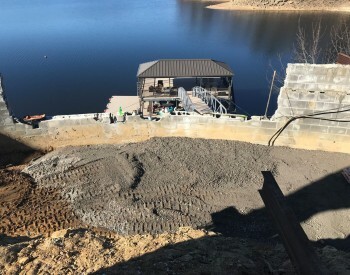 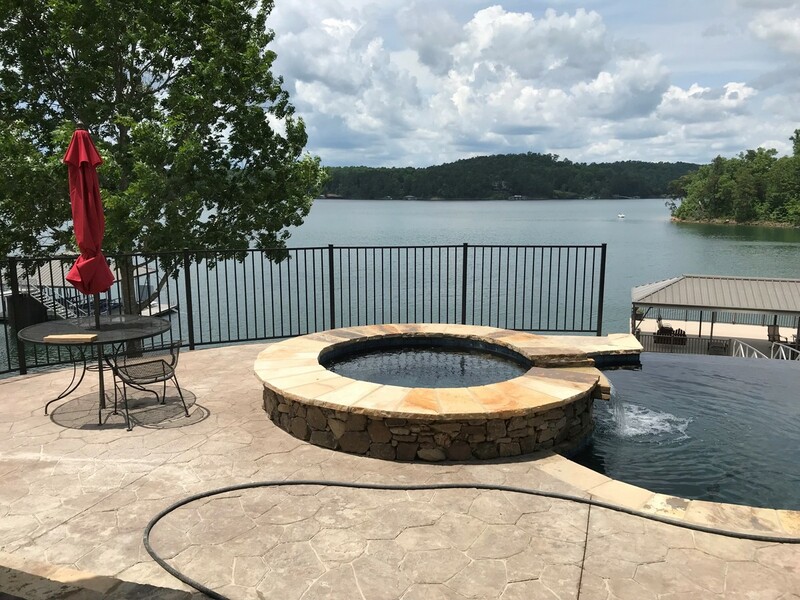 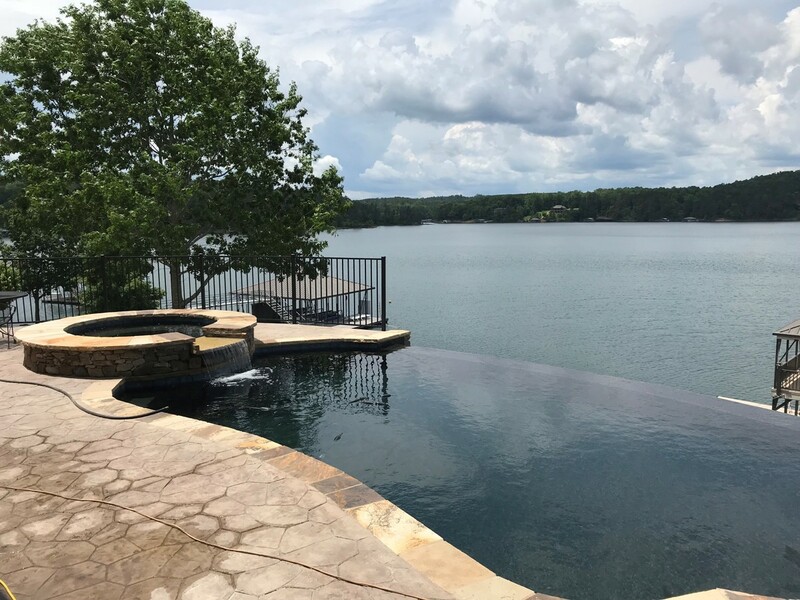 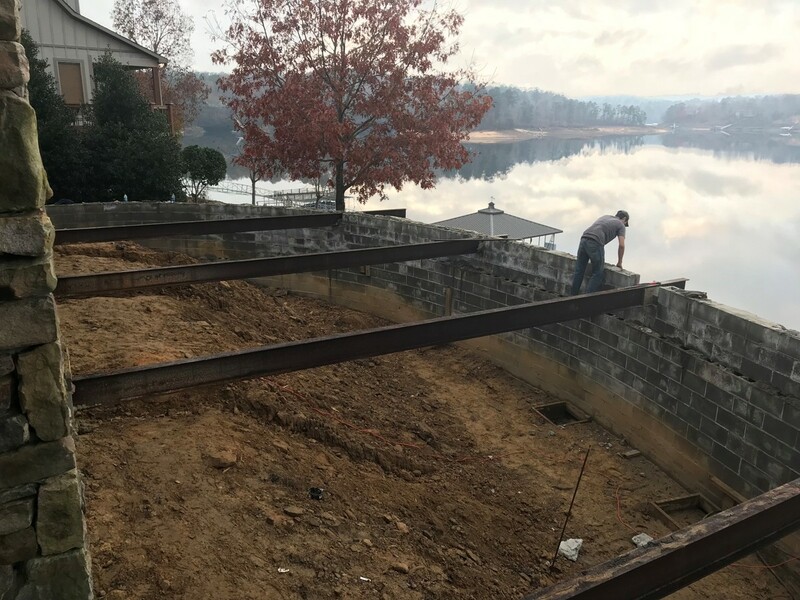 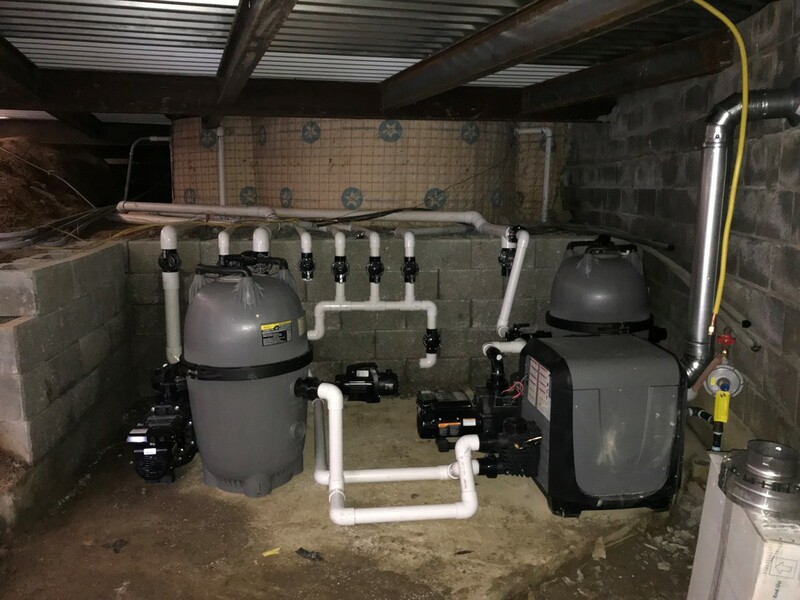 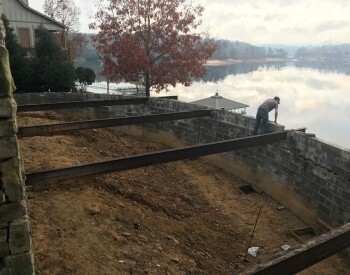 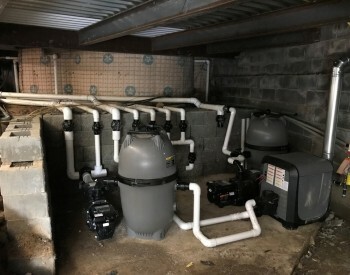 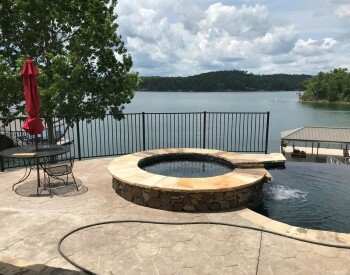 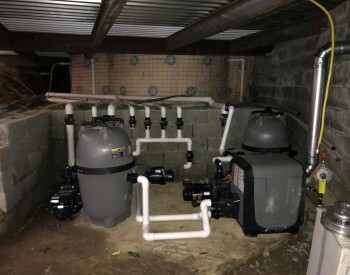 Elite Pool Services constructed this beautiful gunite pool with an infinity edge at Smith Lake, Al. 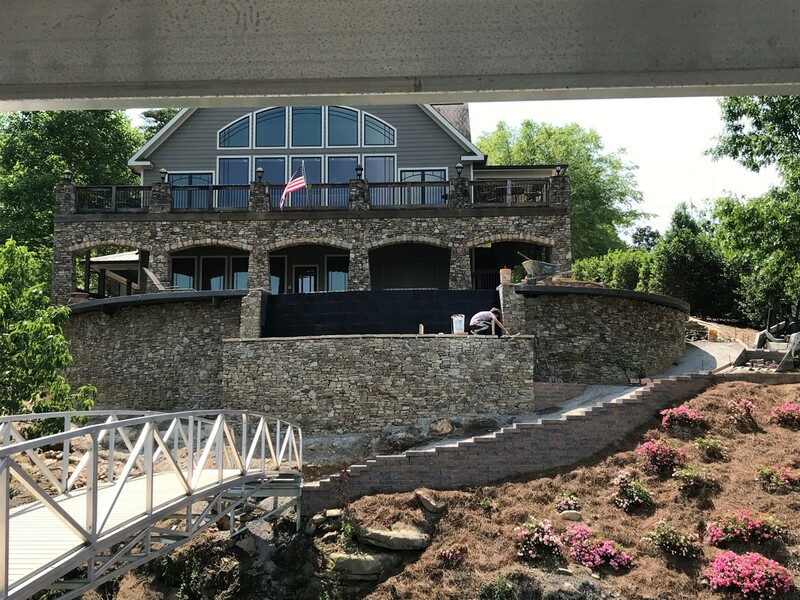 Our customer had a wooden deck with an impressive retaining wall in his back yard. 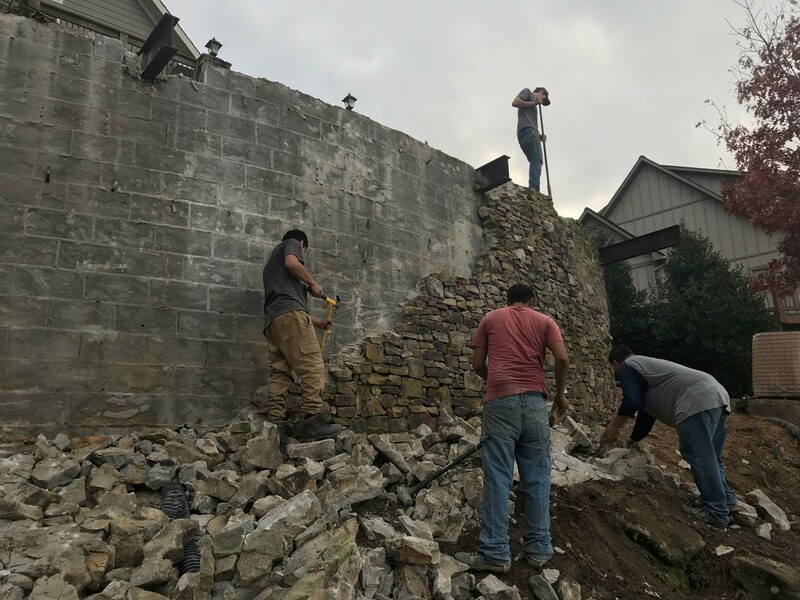 We we took down part of the retaining wall, it's cross members, and the old wood deck. 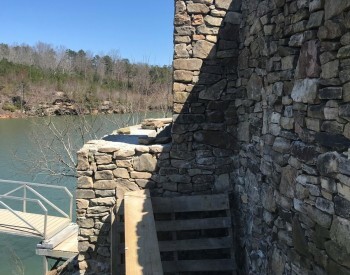 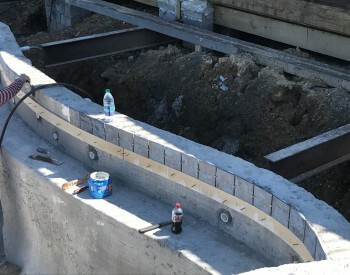 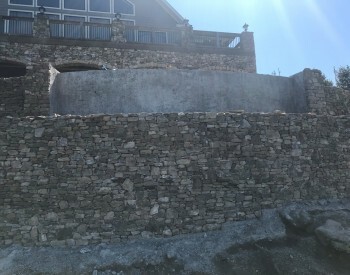 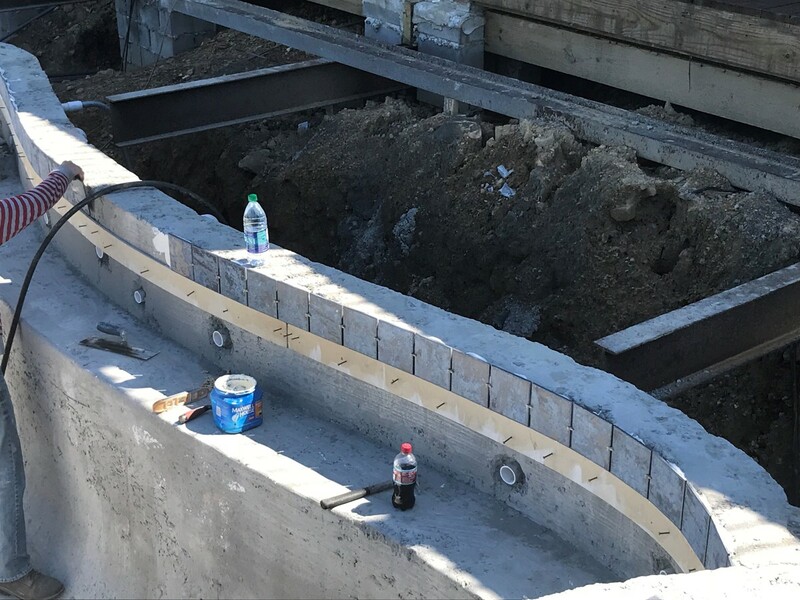 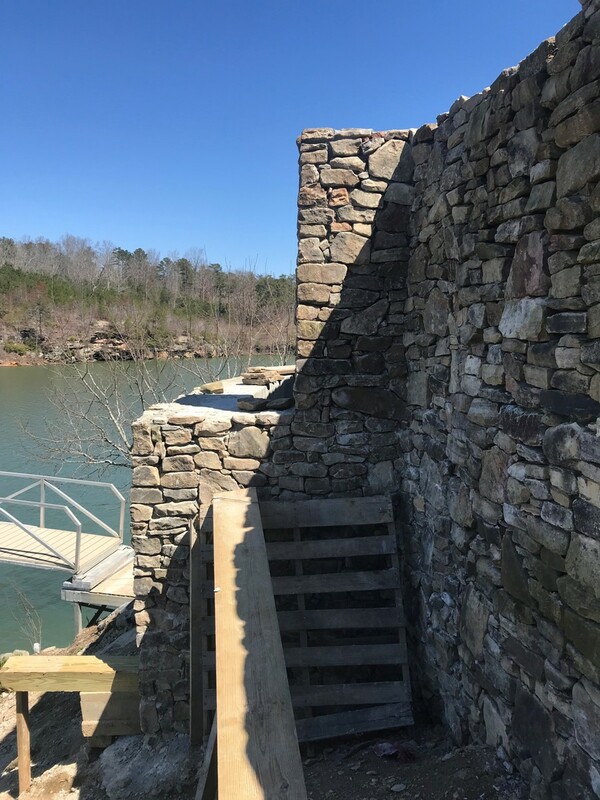 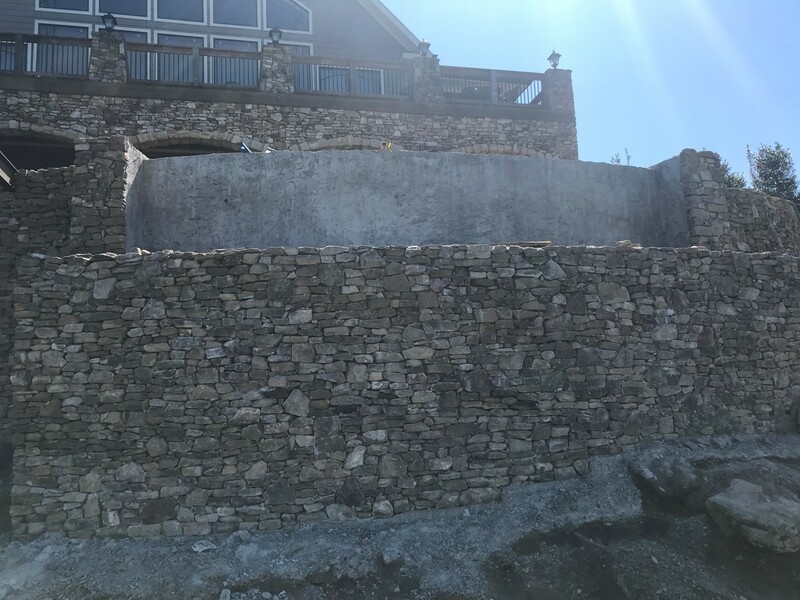 We reinforced the remaining retaining wall before we began construction. 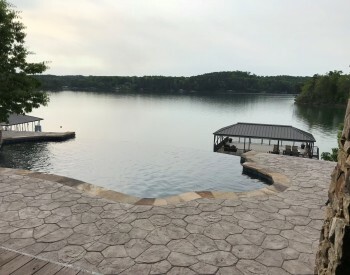 We built the concrete pool with an infinity edge and a spa where the old deck was. 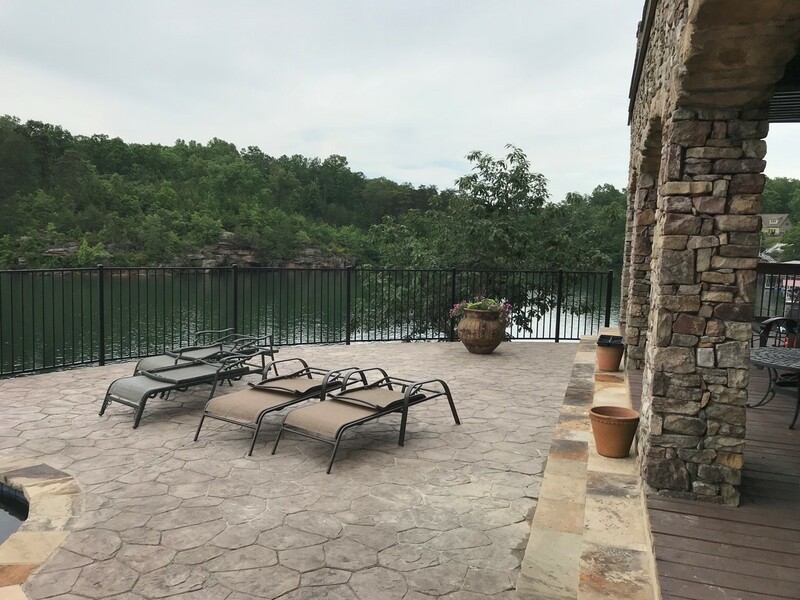 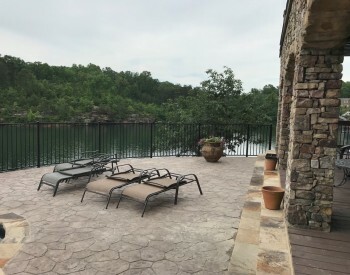 We poured and stamped a concrete deck around the pool and added a black iron fence. The gunite finish is black onyx.